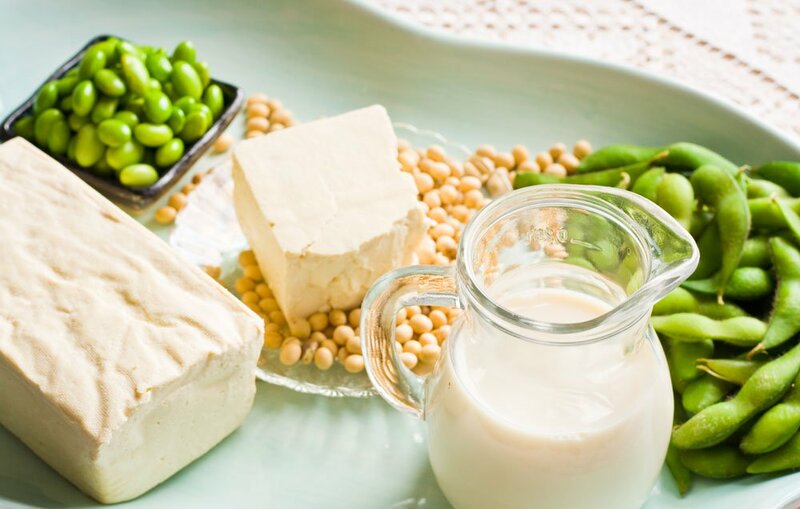 You can get your soy servings of the day through tofu, edamame, soy milk or atta. I love tofu myself, but for those with an aversion to its taste, try cooking it as a bhurji or use it in stuff paratha with lots of lovely masala. Edamame beans are a superb, healthy snack when lightly steamed and tossed with salt. And soya atta can easily be popped into your regular chapati atta. Another excellent source of protein comes via lentils. The Harvard School of Public Health tells us that one cup of cooked lentils provides about 18g of protein and 15g of fibre, and it has virtually no saturated fat or sodium. 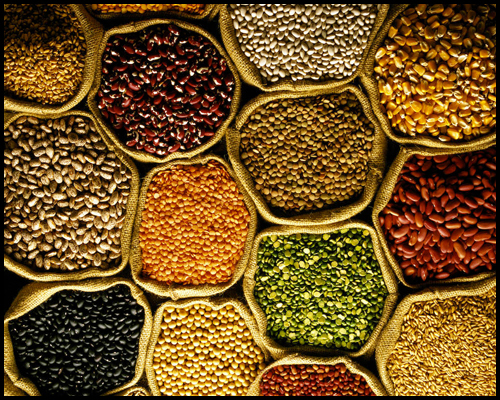 We in India, are no strangers to lentils, considering the wealth of dals we consume. Coming a close second are pulses, which include beans, chickpeas etc. They are an excellent source of fiber and are low in fat. Each bean has its own health-boosting elements. For instance, rajma is rich in phosphorus, necessary to form strong bones. What could be better than a simple, moreish rajma-chawal to boost your protein intake? Another one of my favourite ways to get beans in my belly is via sev usal and misal pao, made from wee matki (moth) beans (Our ચોળા, મઠ અને વટાણા). Chickpeas make the quick transition into hummus. Or you could try beans on toast, stuff them in a paratha or use as sprout salad with masala. 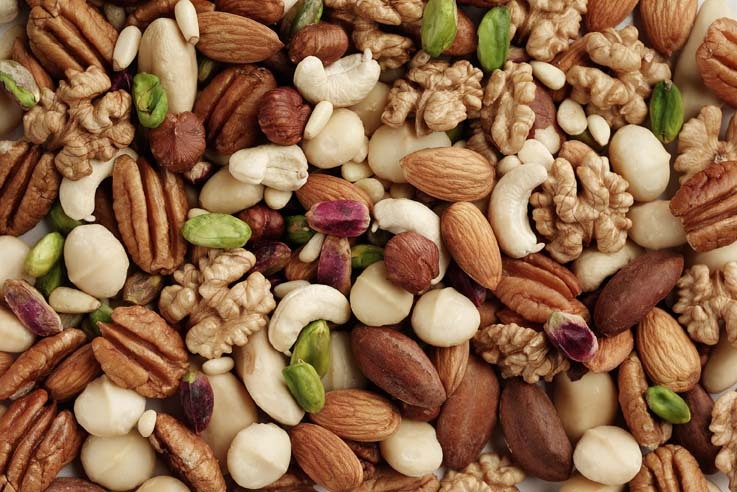 Nuts get a bad rep because they are considered relatively fatty, but they are a powerhouse of unsaturated fat (the good kind) and protein. This means that they fill you up faster and for longer, leading you down the road to low BMI, higher life expectancy and even help to stabilise blood sugar (according to a study in The British Journal of Nutrition). Cashews, almonds, pistachios and peanuts harbour higher amounts of proteins than other nuts like hazelnuts, so buy a mixed bag, sprinkle over with masala and a light hand of salt, and enjoy at teatime. Blend them into nut butters and spread on bread, or toss them into your bowl of porridge or muesli. Or you could make a Gujarati-style dal that is cooked with peanuts - a two-in-one advantage. Seeds are powerhouses of protein as well. Sunflower seeds, for instance, contain 3.3g of protein per 100 calories. Plus, they're super versatile to use. Like nuts, you could toss them into your porridge, cornflakes or muesli, toast lightly and sprinkle as toppings on soups, or pop into stir-fries and salad dressings. Sesame seeds(Tal), high sources of protein, make excellent supplements to plant proteins. My own favourite way to consume these is in crisp til chikkis or ladoos. Same way flax seed we can use it as Mukhvas. 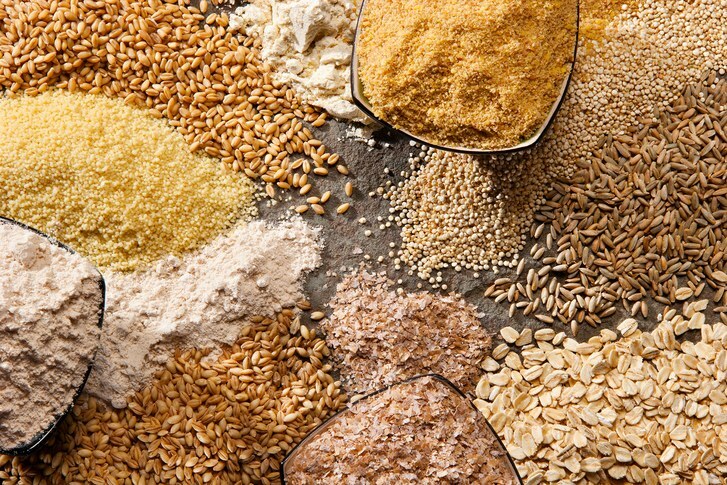 Grains, like oats, wheat, ragi and bajra (millets), are packed with protein. Your breakfast oatmeal and bajre ki roti/ khichdi are excellent ways to up the protein in your diet. I'm including rajgira (amaranth) in here, which isn't a grain technically, but is often treated as one. 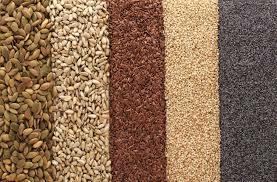 The Whole Grains Council says that "at about 13-14%, it easily trumps the protein content of most other grains. You may hear the protein in amaranth referred to as 'complete' because it contains lysine, an amino acid missing or negligible in many grains." It's fairly easy to buy rajgira ladoos, cooked with sugar or jaggery, especially in the winter.We use Rajgara during fasting, But it's healthier to add amaranth flour to your daily chapati or paratha atta. In fact, making your chapatis from a blend of attas will substantially raise their nutritional value.